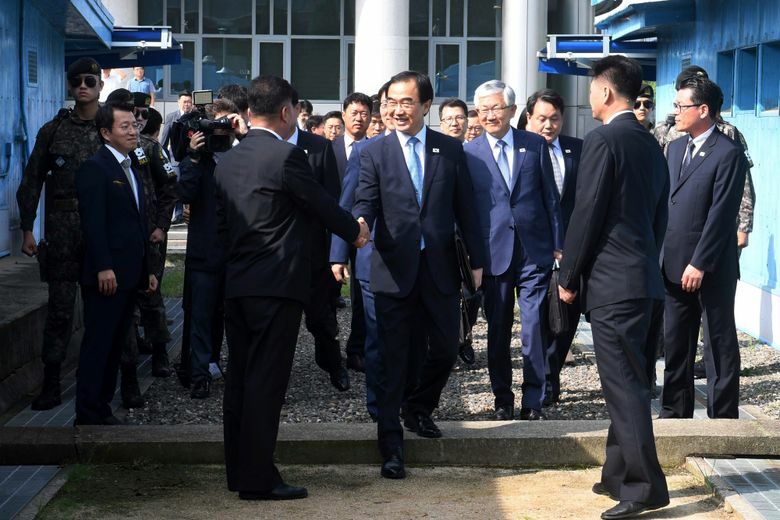 SEOUL, South Korea (AP) — The rival Koreas announced Monday that North Korean leader Kim Jong Un and South Korean President Moon Jae-in will meet in Pyongyang sometime in September, while their envoys also discussed Pyongyang’s nuclear disarmament efforts and international sanctions. 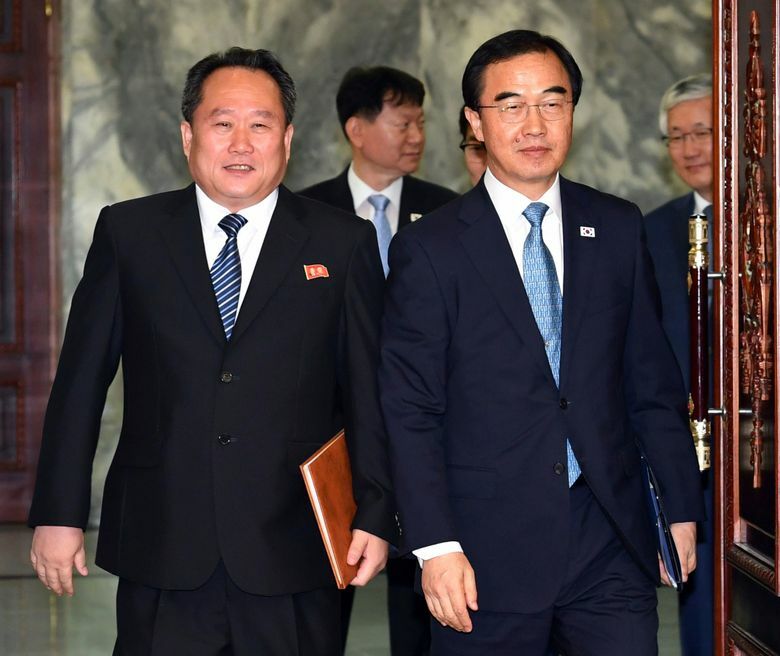 The push for what would be the leaders’ third summit since April comes amid renewed worries surrounding a nuclear standoff between Washington and Pyongyang. 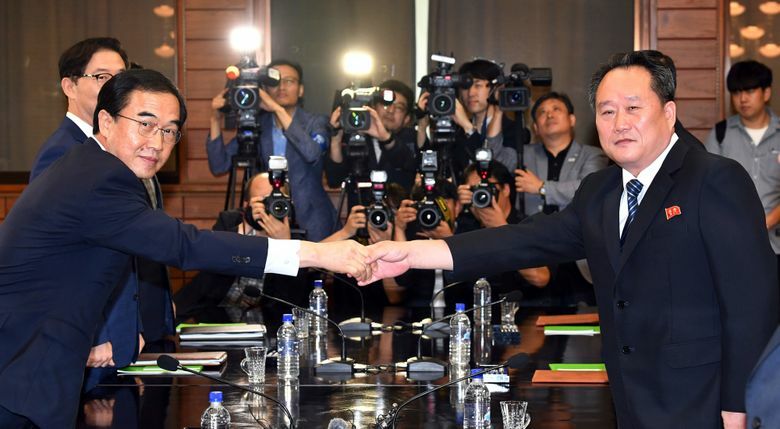 The announcement released after nearly two hours of talks led by the rivals’ chiefs for inter-Korean affairs was remarkably thin on details. 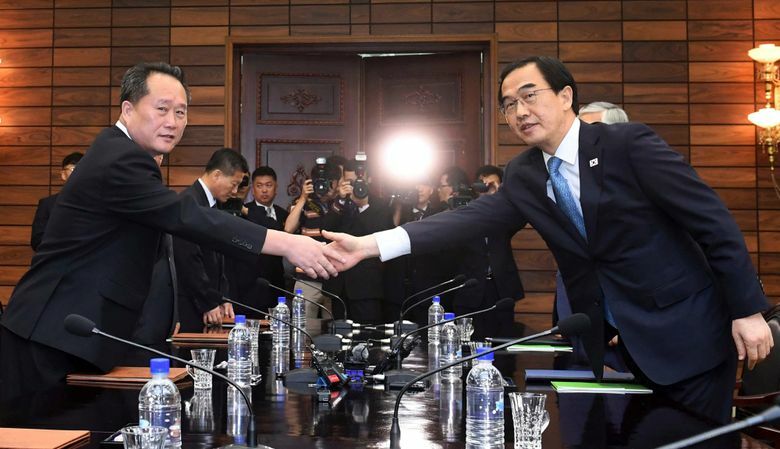 In a three-sentence joint statement, the two sides did not mention an exact date for the summit and provided no details on how to implement past agreements. 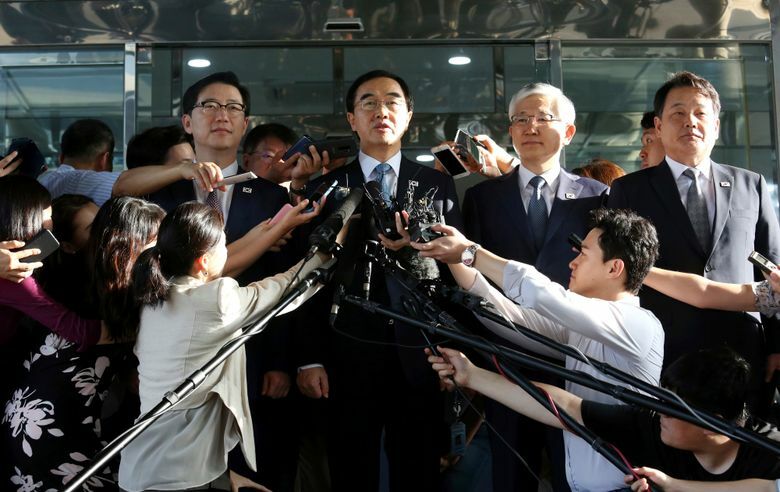 The South Korean unification minister, Cho Myoung-gyon, told reporters after the meeting that officials still had some work to do before agreeing on when exactly the summit would happen. He said the two sides will again discuss when the leaders would meet but didn’t say when. It wasn’t clear why Ri and Cho differed on the issue of the date, and Cho wouldn’t answer a specific question about the discrepancy. The meeting at a North Korea-controlled building in the border village of Panmunjom comes as the international community waits to see if North Korea will begin abandoning its nuclear weapons program, something officials suggested would happen after Kim’s summit with President Donald Trump in June in Singapore. 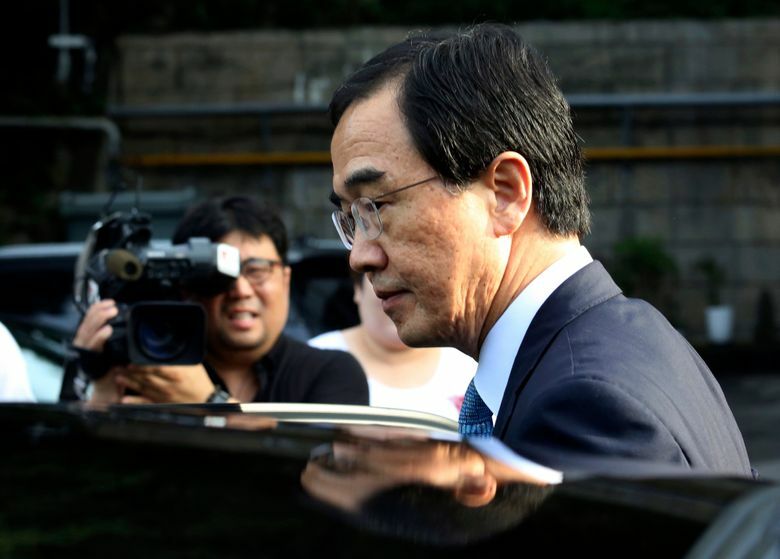 Cho, the chief of the South Korean delegation, said the two sides also “talked a lot” about international sanctions meant to punish the North for its development of nuclear weapons, but he didn’t elaborate. 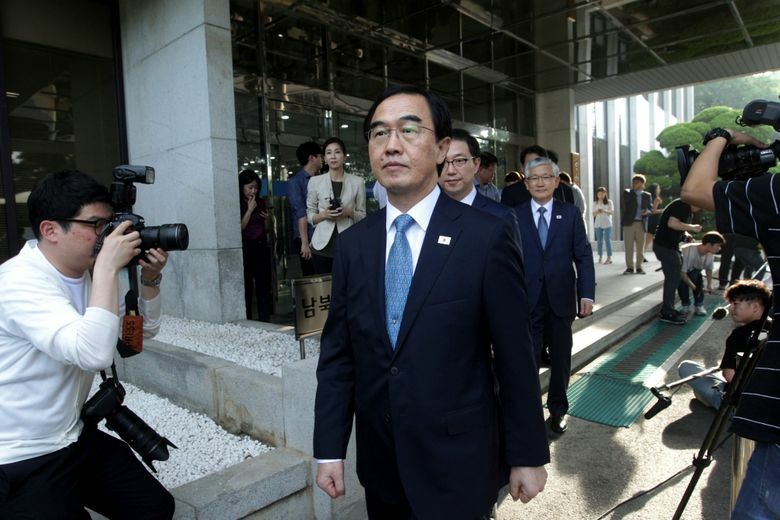 Seoul has been preparing for possible economic collaboration with Pyongyang that could go ahead when sanctions are lifted. Pyongyang has urged Washington to ease the economic punishments, but the United States says that can’t happen until the North completely denuclearizes.